Going Back to Kali….Again and Again! One of my favorite neighborhood restaurants is not in my neighborhood. It is across the city but that will never stop me from going back to Kali…..again and again! Kali is the baby of Chef Kevin Meehan and Wine Director Drew Langley. 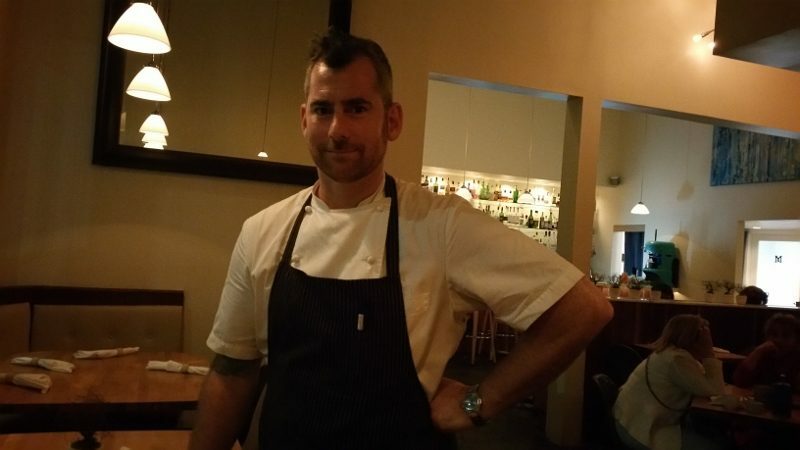 Chef Meehan worked at Citrine and Patina Restaurant Group before launching his underground passion project Kali Dining. 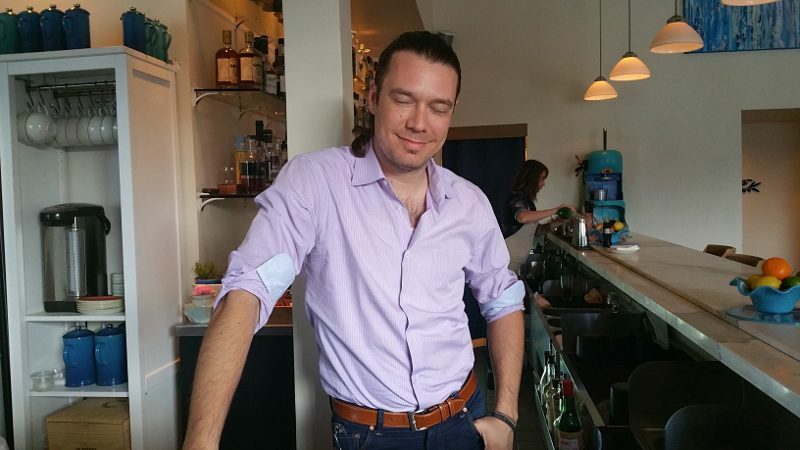 Langley worked as Wine Director at Providence for a decade. He and Meehan had met years prior while together at Bastide and Citrine. 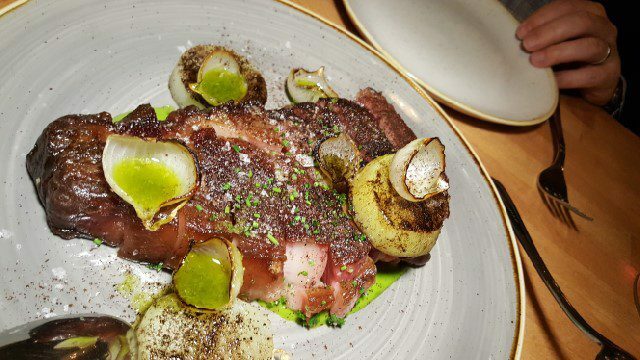 With a shared passion for fine dining hospitality, Meehan serves a menu of contemporary California cuisine paired with Langley’s creative and concise international wine list in a casual, neighborhood restaurant. 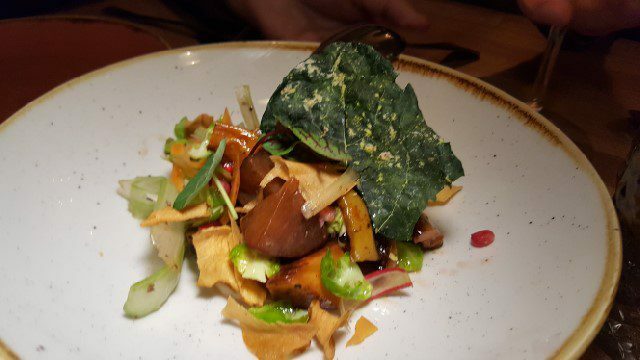 The menu at Kali consists of locally sourced seasonal ingredients. While elements of the dishes change seasonally, there are a handful of my favorite dishes that I can find when I am there. 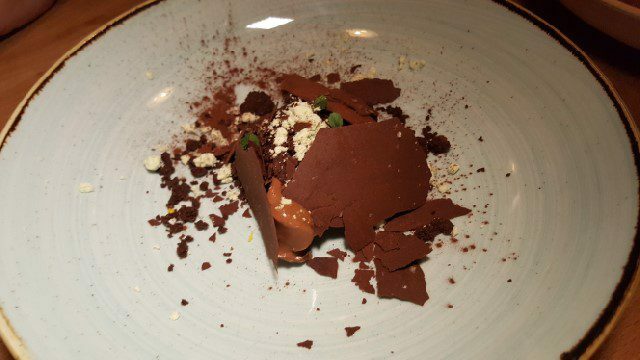 Kali offers a five-course tasting menu option for $65 ($95 with wine pairing). But if you are with a group of people, I suggest ordering a la carte. While the menu is not a share-plate menu, with four people you can order a handful of first course selections to share and then select a a few second course selections off of the menu and then share them to get a taste of all of the different flavors. FIRST COURSE – First course plates are $14 – $16. The pasta options are available in first course size, as well as larger portions. 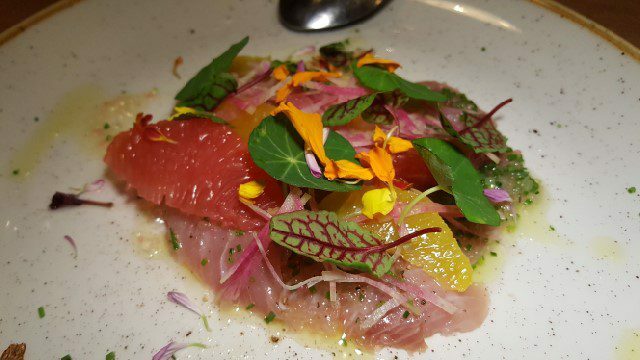 YELLOWTAIL with citrus, nasturtium, seeds – Delicate cuts of raw fish with bright citrus make for a beautiful way to start a meal. 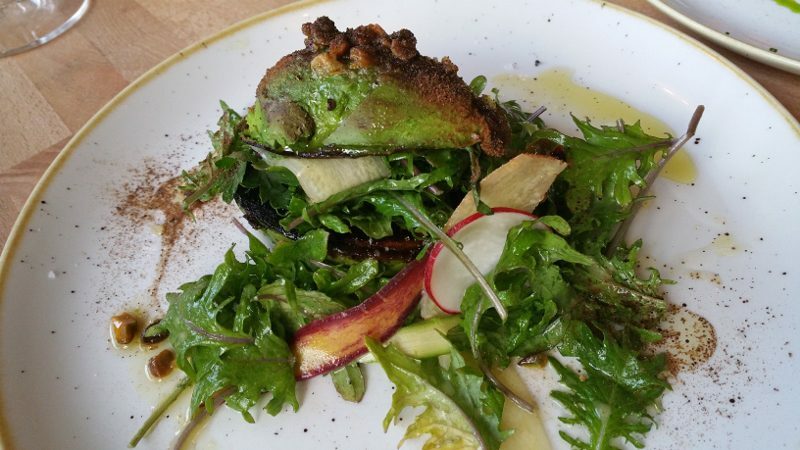 CHARRED AVOCADO with shaved vegetables, pistachio, ash and kale – This dish is so simple and so delicious that you will want to go home and start grilling your avocado every night. 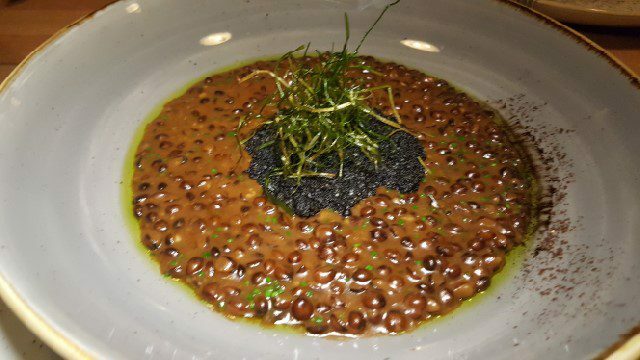 BLACK BARLEY “RISOTTO” with black garlic and toasted cheese – Classic Italian risotto is given a California spin with black barley and is hearty and rich. CAVATELLI PASTA with arugula, creme fraiche and local peppercorn – The crunchy arugula adds a fresh, California touch to this light pasta dish. 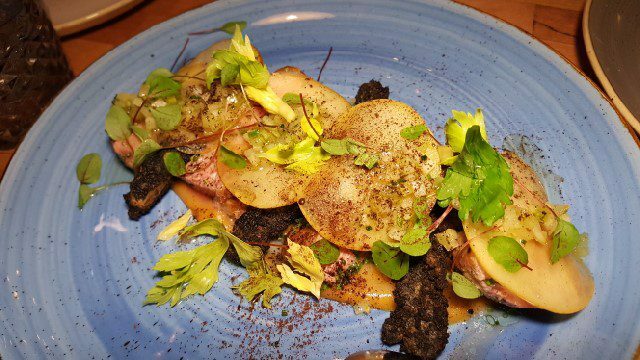 FALL VEGETABLES with parsnip, sunchoke, pear, almond – This salad will feature different ingredients depending on the season but I would not miss ordering one. 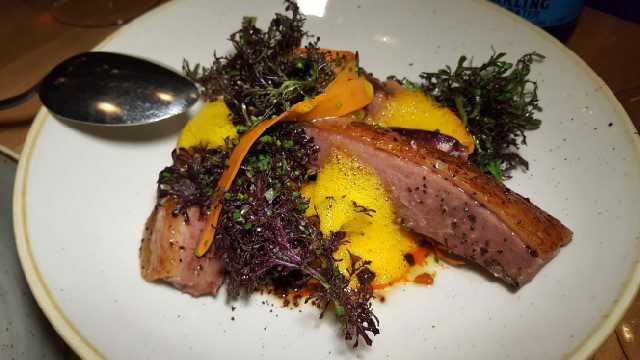 Second Course is the meat option – fish, duck, pork, lamb, beef – and cost between $26-$32 each. 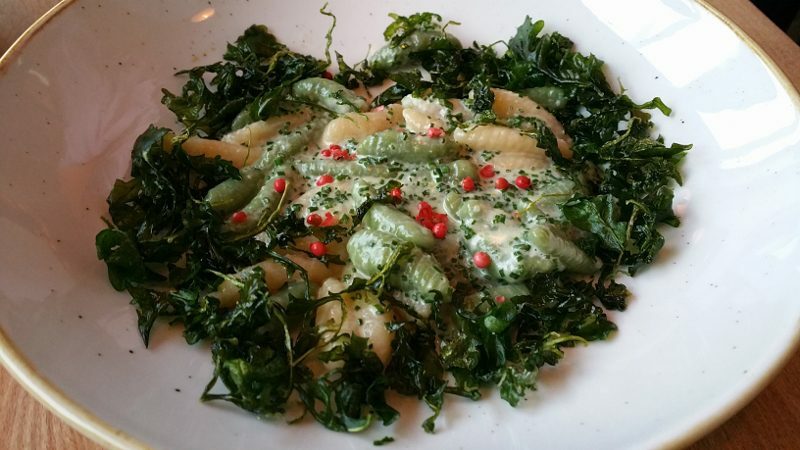 A vegetarian option of potato gnocchi is available for $24. 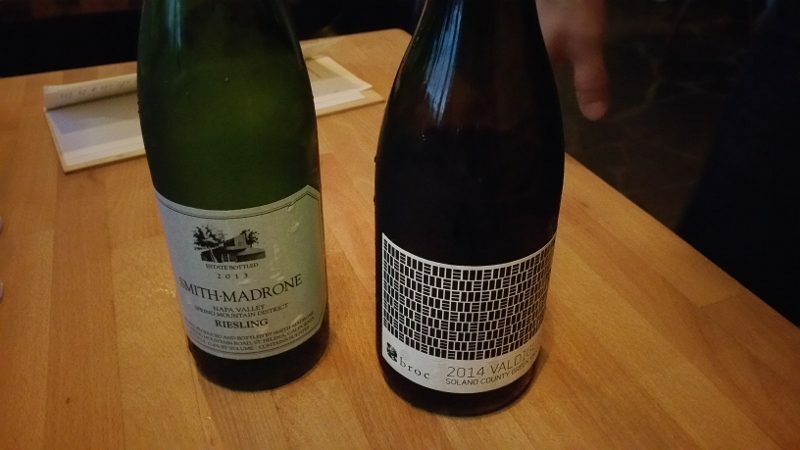 WINE – Looking for the perfect wine to pair with your dinner? Just ask Langley who you can find on the floor of the restaurant. He is personable and exceptionally knowledgeable so you are in good hands with him! DESSERT – Desserts are $10 each. 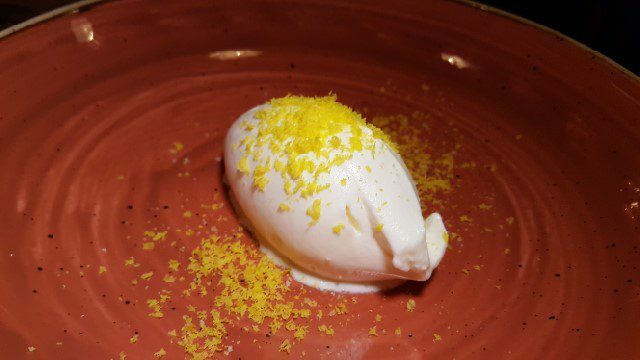 MERINGUE GELATO with candied yolk shavings is an absolute favorite. It is light with just enough sweetness. 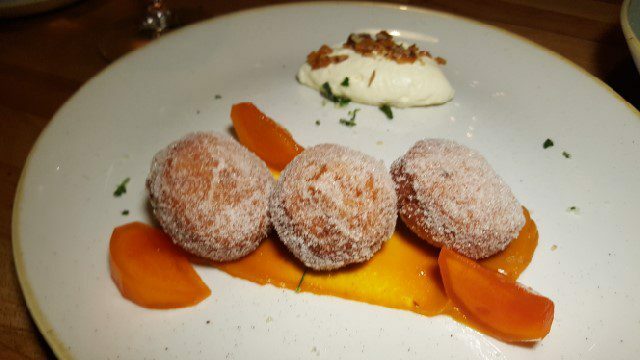 The candied yolk is amazing! 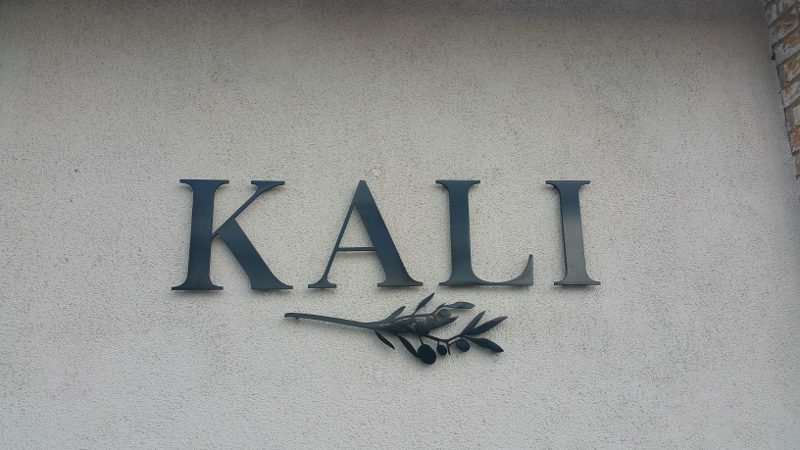 No matter what neighborhood you live in, you will want to go back to Kali! This entry was posted in Food, Wine and tagged California cuisine, Chef Kevin Meehan, Drew Langley, food, Kali Restaurant, neighborhood spot, Wine by Allison Levine.